1. Co-authoring feature in Office 2013 with SharePoint 2013 so people with typical SharePoint experience (from 2007) might find this weird because we work on check in and check out, with co-authoring the document can be checked out to more than one user and yes if you want to know how it works, well the part your editing shows up via Blue line like a Square bracket and that potion is locked for you, you also get notifications when some other people are editing the document which is highlighted by green highlighter once they save it. This makes it easier to edit the same page when you have to rush with work on a document, brilliant Microsoft!!! 2. Co-authoring locks lines in WORD and locks Slides in PowerPoint Presentation. 4. You can also sync your outlook calendar back to SharePoint but you need the appropriate permissions to do that, once you sync the items it takes about 20 minutes to reflect on the calendars. 5. Everything that you create in One Note stores the files in the SkyDrive, you can permission, share the OneNote notebooks from SkyDrive. 6. 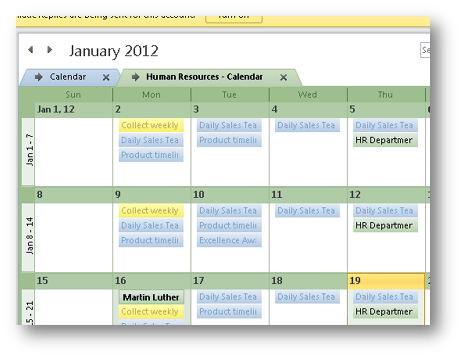 You can chose just a table in your excel workbook and publish it to SharePoint, this builds and active connection between excel and SharePoint list, so later anything added to the Sharepoint List is synced to excel and anything added in excel is synced to Sharepoint. 7. You can save the documents to Sharepoint from the Word and Excel > going to file save as > web location and give in your SharePoint site. 8. Microsoft InfoPath is used to created forms and publish it to Sharepoint as a list, initially InfoPath was launched to work with the Biztalk server but now Sharepoint itself had the BizTalk server included. 9. You can use the InfoPath Form designer to create the form in InfoPath. The fields can be added first and then moved to the form always remember to use the CAML case to name the fields like. First Name should be FirstName. 10. When the form is published from InfoPath to Sharepoint you will be prompted twice for authentication, first one will be to create a library in Sharepoint and second one will be to replace the template. 11. We can create Apps in Microsoft access that needs to be use in Sharepoint. 12. You can export table from Access to Sharepoint and also import table from Sharepoint to access. Again editing data in either Access or Sharepoint will edit the data in the synced counterpart. 13. Microsoft Visio files uploaded in Sharepoint will open up with Visio web browser, which makes it easier to comment and discuss on the file before publishing it. Hope these pointers are helpful for you to understand the integration between Office 2013 and Sharepoint 2013 integration. Labels: Office 2013 Integration with SharePoint.